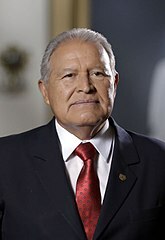 The position of President of El Salvador was created in the Constitution of 1841. From 1821 until 1841, the head of state of El Salvador was styled simply as Head of State (Jefe de Estado). This page was last changed on 6 January 2019, at 18:30.